These cool drink coasters are a cool gift idea for any lover of Retro style. 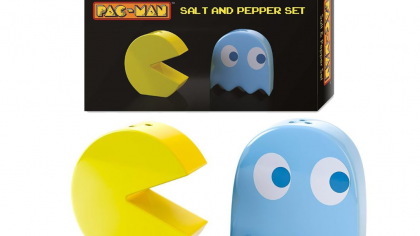 They are a great idea for the office or to use at home. 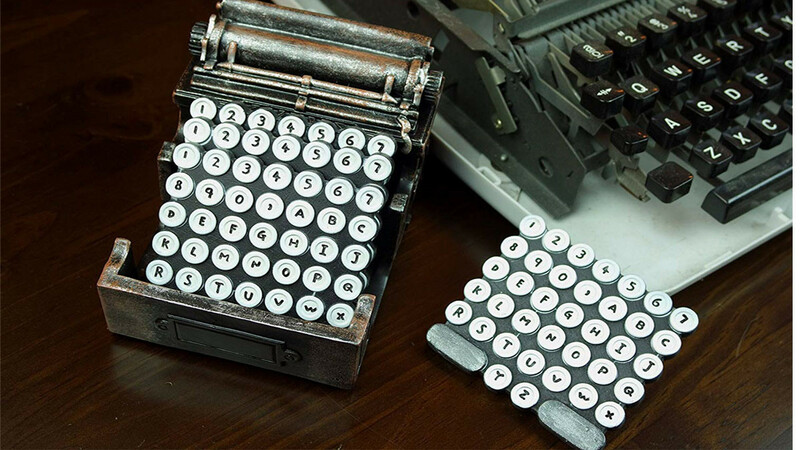 There are four coasters in the set that have been designed to look like retro typewriter keys. Coasters sit inside a base that looks like a typewriter and features a distressed metallic finish. The base measures 4 inches wide, 4-1/4 inches deep and 5-1/4 inches high. Each of the coasters measures 3-1/8 inches by 2-7/8 inches. The coasters and the holders are designed to be very durable. These are not just a cool idea for Retro fans but also for anyone who loves modern industrial styling.